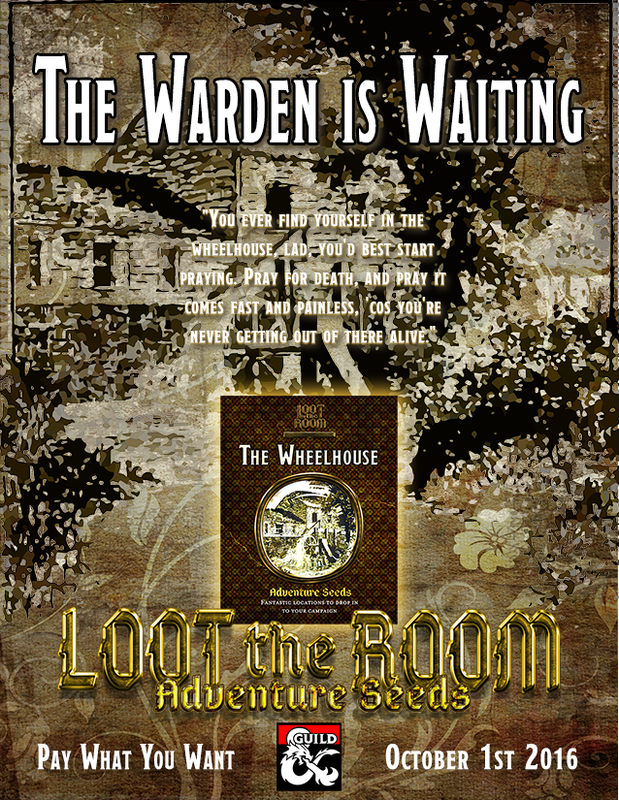 Adventure Seeds: The Wheelhouse Prison, the first book in my Adventure Seeds series, releases on DM’s Guild this coming Saturday (October 1st). As a small preview, here is one of the 10 new NPCs included in the book. Sureshank is a prisoner in the Wheelhouse – a woman who knows how to get things. Take a look. It’s not often gnolls find themselves in the company of other races for extended periods of time, but Sureshank has been surrounded by enemies for decades. She has not languished in her incarceration, though; she has thrived. Nearly seven feet tall, Sureshank is easily one of the largest inmates in the Wheelhouse. Despite her feral appearance and her race’s reputation for aggression (and the constant whispers of a link to the demonic), she has proved herself to have a keen mind and a way of making people come round to her point of view. Sureshank is known around the prison as a woman who can get you things, even though security at the prison is practically impenetrable and visitors are rarely admitted. After years of seeing contraband slip into her prison, there are rumours that the Warden now wishes to see Sureshank’s supplier stopped. Trait: I am calm and unflappable, even when everything around me is falling apart. Bond: Now that I have been forced back into a society of sorts, I look after those around me. We are stronger together. Flaw: I fight a constant battle against the vio-lent urges that I was born with.